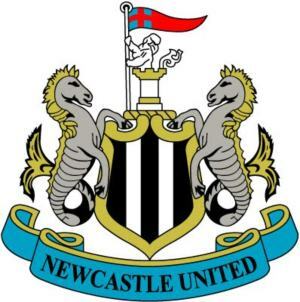 NUFC Fans United – the way forward? Yesterday evening I attended a fan meeting at The Irish Bar. It was a bit weird being in the Irish with 20-20 vision but once I got used to sobriety, we began discussing the items on the agenda. 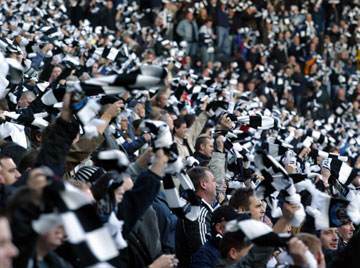 In that meeting were some of the online elite of Newcastle United fan reporters. Malcolm Dix, shiteseats, Newcastle United Mad, MAOC, Steve Wraith and various other supporter groups. Myself, naturally, being the guest of honour. Joking aside, the meeting in total lasted around 3 hours or so and we discussed a good few things and especially regarding the supporters group, the club, campaigns and various other things. We learned today that Davide Santon was officially a Newcastle player and that, begrudgingly the Daily Mail was correct. Again. Personal bias aside, the 20 year old utility man gave his very first interview to nufcTV and discussed a few things. An interesting note is that, like many of the new lads through the door, he barely speaks a word of English so perhaps communication could be a problem on our back line? As always, Rob Scanlon conducted the interview with the new lad and as always, I’m here to give you a taste of what was said. RS: Davide, welcome to Newcastle United what made you decide to move to England, and why this club in particular? DS: I came here because it’s always been my dream to play in the Premier League. And to play for Newcastle is even better – to play for such a historical club and such a great club. RS: Was it a difficult decision leaving the country of your birth? Where would Santon fit in our starting XI? From Inter to Newcastle for £5m? 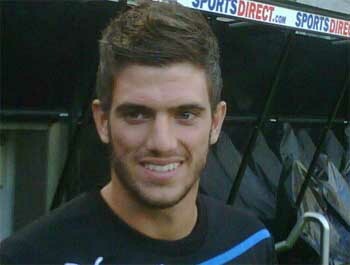 With talk of Davide Santon to Newcastle seeming ever likely, the obvious question is where will he fit into the squad? The 20 year old started plying his trade on the wing and gradually moved back to his current position as full back, or to be more precise, wing back and despite being right footed, can play on either flank and is always willing to terrorise both defenders and attackers with his raw pace. You’ll all be glad to know that unlike most Italian players, this lad actually has strength and doesn’t go down screaming about how the wind knocked him off the ball and how it should be red carded for violent conduct. So there’s a bonus.